Harden had his 31st consecutive game with 30 or more points, tying Wilt Chamberlain for the second-longest streak in league history. The NBA’s leading scorer passed the 30-point mark on his 15th four-point play of the season, getting Josh Okogie in the air with one of his trademark step-back 3s to put Houston up 74-67 midway through the third. Okogie had 16 points and sparked the Timberwolves to retake the lead with an 18-2 run. The rookie had a breakaway dunk and a 3-pointer to give Minnesota a 77-74 lead, but he brought some of the biggest cheers of the night with an emphatic block on Harden’s 3-point attempt with 3:40 to play. After being stripped by Okogie a few plays earlier, Harden stepped back again behind the arc to attempt the 3. This time, the ball didn’t even leave his hand before Okogie leaped forward and stuffed it, bringing the crowd to its feet. Rockets: Coach Mike D’Antoni said C Clint Capela is expected to practice next week to determine if he can play next Thursday at the Lakers. 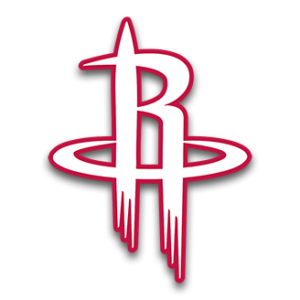 Capela missed his 15th game with a right thumb injury suffered at Orland on Jan. 13. … Gerald Green scored 10 points off the bench in the first quarter, including 2 of 3 from the arc. Timberwolves: F Andrew Wiggins missed his second straight game with an illness. F Robert Covington (knee) and G Tyus Jones (ankle) missed their 20th and 13th games, respectively. … Dario Saric again started in place of Taj Gibson. He scored 10 first-quarter points on 4-of-4 shooting to help give the Timberwolves an early eight-point lead. … Minnesota honored former Twins star Joe Mauer after the first quarter. The 2009 AL MVP and Twin Cities native retired after last season.